This lovely two piece set by Lilly and Sid is made from soft jersey cotton. The grey and navy raglen top has a red bus and seagull applique on the front and popper fastenings at the shoulder to allow easy dressing. 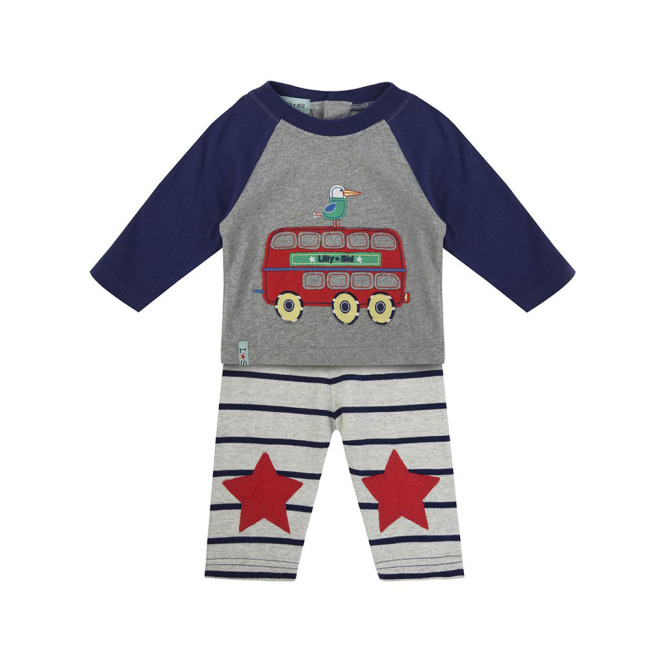 The jogging bottoms are grey marl and navy striped with vibrant red star patches on the knees and a softly elasticated waistband for a great comfort fit. The Red Bus joggers and top set is part of the brand new Lilly and Sid collection for spring/summer 2017.